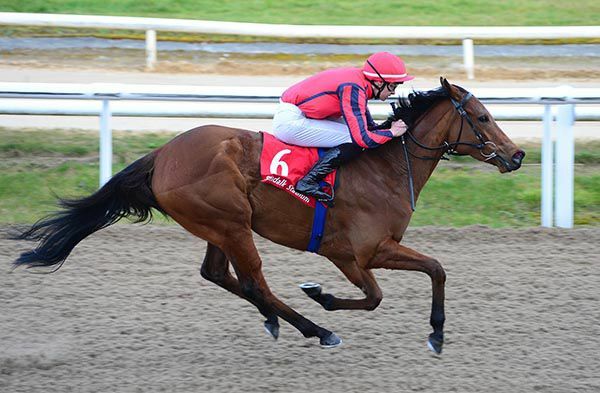 Group 1 fourth placer Now You're Talking got off the mark in good style in the Irish Stallion Farms EBF Maiden at Dundalk. Not seen since a Breeders Cup outing at Del Mar in November, the Zoffany filly went off a 2/7 chance for this sprint. For Joseph and Donnacha O'Brien Now You're Talking was always looking promising through this five furlongs, and she eventually easily beat View The Bay by a length and three parts. "She did it nicely. I got there plenty early on her but I just had to take the gap when it was there," said Donnacha O'Brien. "She'll improve plenty for that and it's nice to get her started for the year. She was a steering job there. "She's a sprinter, she's not going to stay a mile, it'll be five or six furlongs." 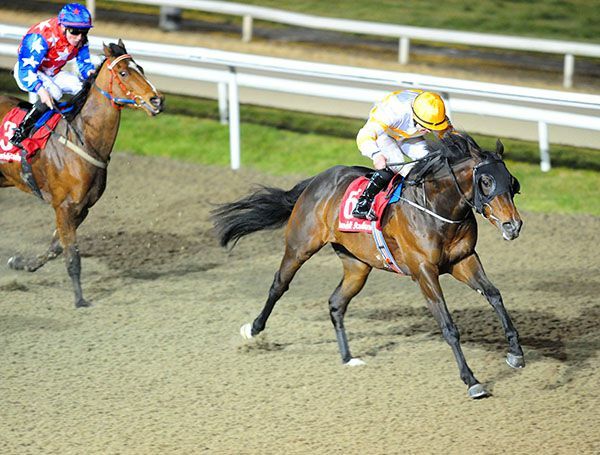 Joseph won the Dundalk Winter Series Leading Trainer title last night with 13 wins. Joseph O'Brien reports Edwulf perfectly well following his run in the Timico Cheltenham Gold Cup on Friday. The nine-year-old returned to the home of jumps racing just 12 months after collapsing in the closing stages of the JT McNamara National Hunt Chase. Though there was no second fairytale story after his remarkable victory in the Irish Gold Cup at Leopardstown last month, Edwulf did not disgrace himself back at Cheltenham when eighth behind Native River. "He's 100 per cent, he's very good," O'Brien said of the JP McManus-owned gelding. "He ran a good race. Things maybe didn't fall exactly right for him, but other than that he was good." Connections have not yet given any thought as to where or when Edwulf will run next. "No plans yet. It's too early to say where we are going to go with him," said the County Kilkenny trainer. "He's fine after the Gold Cup, and that's the main thing." "I haven't ridden him but I spoke to Joseph before and he said the extra furlong would be a big plus to him," said Wayne Lordan after winning the Kellihers Electrical Handicap at Dundalk aboard Tagle. Six to one shot Tagle chased the leaders, and he was third at the halfway stage. Ridden to challenge two furlongs out, Tagle led a furlong and a half out, keeping on well in the final furlong to beat Lucky Red by two lengths. "He (Joseph O'Brien) said to ride a straight forward race on him and he went to the line well. Hopefully there is a bit of improvement there," elaborated Lordan. "Joseph's horses are running well and I'm lucky enough to be riding away for him and getting a few winners which is great." The Stewards requested a report from Joseph Patrick O'Brien, trainer as to the apparent improvement in form of Tagle, placed first, as compared with its recent form. Mr. M. Molloy, authorised representative of Joseph Patrick O' Brien explained that this was his charge's second run in blinkers and that he was ridden more aggressively by a more experienced rider which aided his charge on this occasion. Having considered the evidence the Stewards noted the explanation offered. 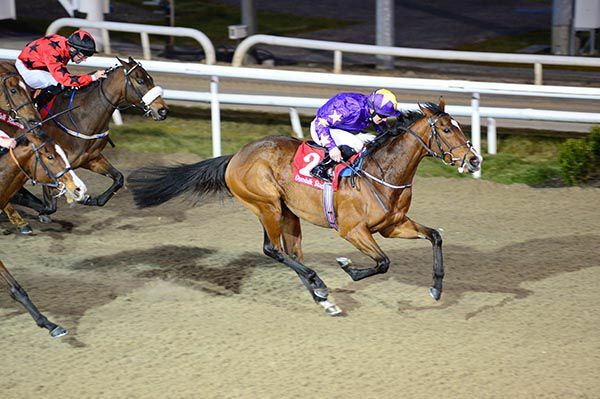 Highly Approved completed a hat-trick of wins in emphatic fashion, as she blitzed her rivals in the Dundalk Stadium Business Club Claiming Race. Having won her maiden here last month, the Joseph O'Brien trained daughter of Approve followed-up at the all-weather venue on Friday last. Available at 11/10 this morning, the bay victor opened on-course at 8/11, before going off the clear favourite at 8/15 under Wayne Lordan. Settled in second, she cruised through to lead under two furlongs out, and soon stretched clear, keeping on strongly to score easily by ten lengths. The front-running Shecanrally was best of the rest, finishing second under Andrew Slattery for Patrick Prendergast at 14/1. Eadbhard (40/1) completed the placings another two and three parts of a length back in third, with Niall McCullagh in the saddle for Michael Grassick. Lordan said afterwards: "She won here on Friday night which was probably a more competitive race. She enjoys this place and is improving. She came out of the last run well and is a very hardy filly. She looked well today, and Joseph has done a good job keeping her fresh." The winner (E10,000) and Bonnie Baugh (E12,000) were both claimed. Details to follow. Trainer Joseph O'Brien, only 24-years-old, and with a Classic-winning jockey's career behind him, has, within two years of saddling his first runners, won Australia's greatest horse-race, the Melbourne Cup, bagged two Grade One national hunt prizes and gathered together one of the biggest strings in Ireland. Now, the son of record-breaking champion-trainer Aidan is turning the sights of his burgeoning operation towards jump racing's premier target - the Cheltenham Gold Cup. Edwulf, the "miracle horse" who it was feared would die after collapsing in the National Hunt Chase at Cheltenham's 2017 Festival, is set to make a return visit this week. Recalling the 2017 race, O'Brien says: "He was going well and jumped the second-last and looked like he was going to be second. He jumped the last, and he went wrong. "He basically ran out of oxygen, but his heart kept his vital organs going. He was down for an hour or something, but the vets were brilliant, and he came around. "I think he was blind for a time - it's quite unbelievable that he could come back, and it's a testament to the horse and his attitude." 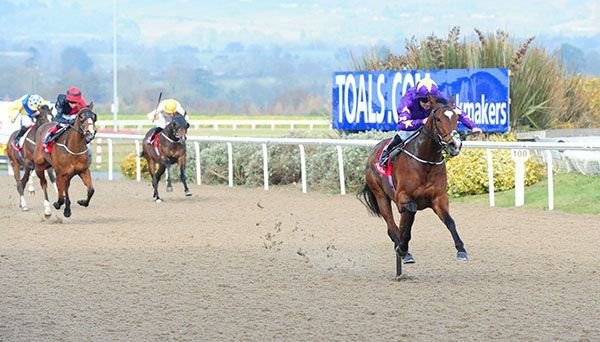 After a series of tests, the O'Brien team and owner JP McManus were assured that the occurrence was no more likely to happen again to the nine-year-old as it might to any other horse. 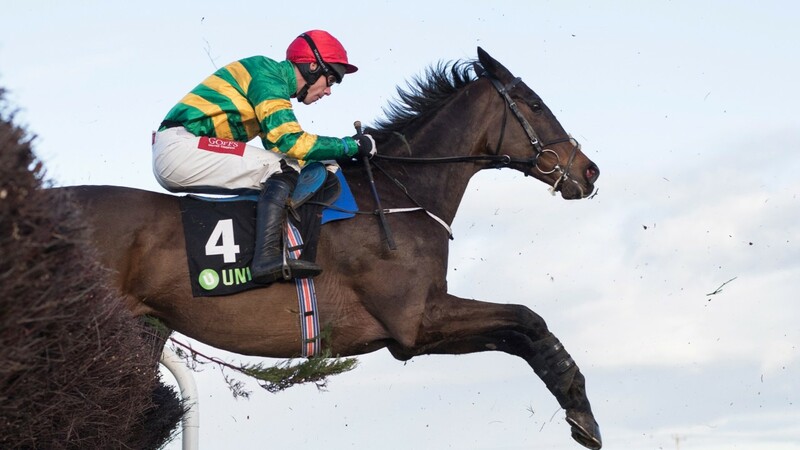 Therefore, emotions ran high when Edwulf earned his place against Might Bite, Native River and co at Cheltenham with a stirring 33-1 success in the Grade One Irish Gold Cup at Leopardstown in February. In what's considered by many to be an open year, his trainer believes the former point-to-pointer, a 20-1 shot, is "well entitled to take his chance". He adds: "You only have to look back at the Gold Cups of the last 10 or 12 years and look at what you expected to happen, and what happened." Edwulf heads a challenge of around ten Cheltenham Festival runners from O'Brien's Carriganog Racing, a stable that boasts a mix of no fewer than 150 jumpers and flat horses - Latrobe received particular mention for the upcoming flat season. We are speaking on the edge of the steep gallop at the hillside base in County Kilkenny originally developed by O'Brien's grandfather Joe Crowley, and where Aidan O'Brien and his wife, Crowley's daughter Annemarie, cut their training teeth. The current occupant, who rode the winner of the Epsom Derby twice before weight issues could not be held at bay any longer, was a baby when his parents moved to the Coolmore racing empire at Ballydoyle stables. He's also too young to remember his father's own Cheltenham Festival glories with three-time champion hurdler Istabraq (1998-2000) but does recall always planning to train. Whereas many jockeys speak of having to tear themselves away from race-riding, he insists he doesn't miss it a bit, and is content to just ride out on the gallops on Sundays. His father remains an influence and source of advice, so the fact that Joseph O'Brien's Melbourne Cup Winner Rekindling defeated Johannes Vermeer, a horse trained at Ballydoyle, was a not inconsiderable irony. And that, it turns out, is not the only occasion of late that son has beaten father. "We played Ballydoyle at football," he says. "And can you guess the score? Seven-one to the 'Boys on the Hill'. "I scored one, but I would be an average [player]. I think I maybe sneak on the team because of my position. "Dad was the ref, and he literally only blew the whistle twice at half-time and full-time, and he kept telling the lads to go in harder." That whole story was told punctuated by giggles and the broadest of grins, dispelling the thought with that with dozens of horses under his care and big targets at which to take aim, perhaps being an "ordinary" young guy isn't possible. Extraordinary more like - like his fledgling career and like Edwulf, his first Cheltenham Gold Cup challenger. After winning the opener on Plough Boy, WayneLordan doubled-up on Highly Approved in the 32Red Handicap. Successful over the course last month, the Joseph O'Brientrained bay opened on-course at 4/1 this evening before going off the second choice of punters at 3s. Prominent throughout, the daughter of Approve was ridden to the front over a furlong out, and she kept on well from there, going on to score by three parts of a length. Downtown Diva (20s to 16s) kept on well to take second under Shane Foley for Jack Davidson, while Taylor Velvet (16/1) was another half a length back in third for Rory and Tom Cleary. Patrick Joseph was sent off the 6/5 favourite, and he could only manage a disappointing fifth with Pat Smullen in the saddle for David Marnane. "I thought that was good. As I said the last day she's been very consistent, she stepped up to seven today and it wasn't an issue," said Lordan. "She's a grand filly that enjoys this place and handles the surface well. "She got plenty for winning last time but when you have a filly like that, that may be improving a little bit and enjoying racing, they keep stepping forward and that's the way she seems to be. "Winning last time probably helped her confidence. She was getting left a bit in the stalls but that's been ironed out now and the last twice she jumped well, got a good position and won. Everything is falling right for her." Owner Lloyd Williams said that the Melbourne Cup quinella horses Rekindling and Johannes Vermeer may not run at all this autumn as he protects his best spring stocks. 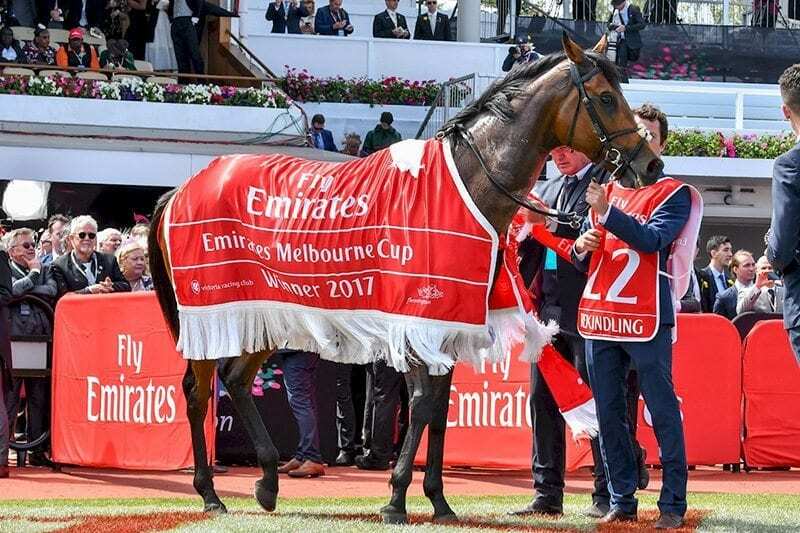 The six-time Melbourne Cup winning owner said if Rekindling and Johannes Vermeer were to run at all this autumn it would be in the Blamey Stakes on Saturday week at Flemington. "They might run in the Blamey. Probably I am saying to myself I shouldn't run these horses because I've had no luck - I'm a spring campaigner," he said. "I'm undecided at this moment but if they run this week that will be the only run they have." 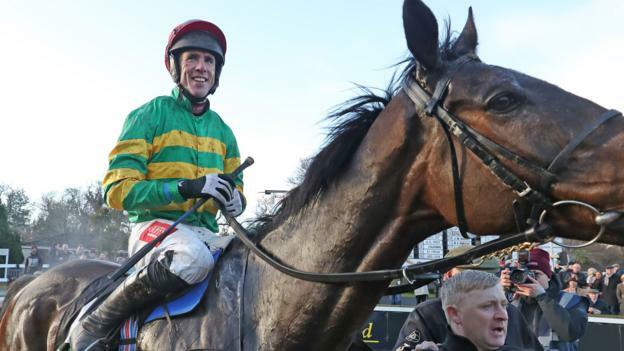 Arkwrisht withdrawn from the Leinster National at Naas following Tuesday’s latest forfeit stage. 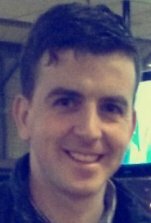 Top point-to-point rider Derek O’Connor will get the opportunity to secure Timico Cheltenham Gold Cup glory next week aboard the JP McManus star Edwulf. The partnership secured a memorable 33-1 success in last month’s Irish Gold Cup at Leopardstown, which sealed Edwulf’s remarkable comeback to action after almost losing his life at last year’s Cheltenham festival. What trainer Joseph O’Brien has described as a “neurological episode” saw the horse collapse after being pulled up by O’Connor on the run-in of the four-mile National Hunt Chase. A lengthy rehabilitative process reached an emotional climax at Leopardstown when Edwulf propelled himself into the reckoning for “Blue Riband” glory back at Cheltenham on Friday week. McManus’s number one jockey Barry Geraghty has not ridden Edwulf in his last eight races, and the decision has been taken to leave O’Connor on the horse for jump racing’s most coveted prize. “I’m sure that’s the plan. He won on him the last day. and Barry will ride either Minella Rocco or Anibale Fly,” McManus’s racing manager Frank Berry confirmed on Sunday. Sam Waley-Cohen was the last amateur rider to win the Gold Cup on Long Run in 2011. That was 30 years after Jim Wilson managed the same feat on board Little Owl. Just two other amateurs have won the race in its history. In 2015 O’Connor made history by becoming the first jockey to ride 1,000 point-to-point winners in Ireland. He has twice won the four-mile National Hunt Chase at the Cheltenham festival, courtesy of Chicago Grey in 2011 and Minella Rocco in 2016. Edwulf is as low as 16-1 in some ante-post lists as the McManus team bid to repeat their 2012 Gold Cup victory with Synchronised. 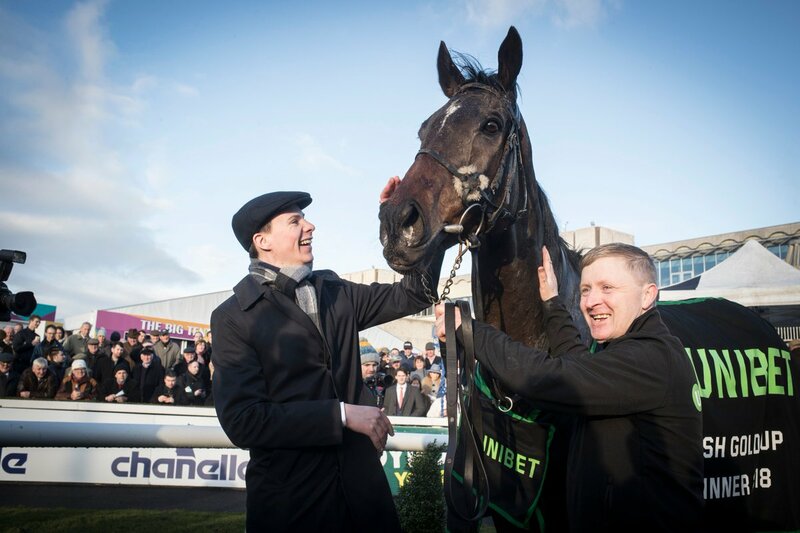 He is set to be joined by both last year’s runner up Minella Rocco and possibly by the Tony Martin-trained Anibale Fly. Both fell in the Irish Gold Cup won by Edwulf. A Gold Cup victory for Edwulf would be a contender for the most emotional moment at the festival. Joseph has 7 new 2 year old's & 9 more from the sales page 2017 added to the 2 year old's page. Will Derek continue his association with Edwulf? Derek O'Connor will have to wait and see if he is to continue his association with Edwulf in the Timico Cheltenham Gold Cup. The leading amateur jockey gained a first Grade One success when guiding the Joseph O'Brien-trained gelding to a surprise victory in the Irish Gold Cup at Leopardstown in early February. O'Connor was also at the helm when the nine-year-old collapsed after being pulled up following the final fence in the National Hunt Challenge Cup at Cheltenham last March. Edwulf made a remarkable recovery but did not complete the course on his comeback run in the Leopardstown Christmas Chase. He is owned by JP McManus, whose retained rider Barry Geraghty chose Anibale Fly in the Irish Gold Cup. Geraghty is again likely to have the pick of McManus' possibles in the Gold Cup which currently stands at four - Edwulf, Anibale Fly, Coney Island and Minella Rocco. "I don't know if I'll be riding him," said O'Connor. "Joseph has confirmed him a runner, which is good, but a lot will depend on what Barry Geraghty wants to do."